Laura & Jeremy got in touch last year to ask me to photograph their Hunters Lodge wedding in Crewe. Their service was held at St Andrews Church in Crewe before we headed up to Hunters Lodge for the wedding reception. I joined Laura in the morning at her parents house. I absolutely love going to parents houses in the morning. The history within/on the walls and around the home always creates lovely homely backdrops to your morning. After this I headed up to St Andrews Church for the Ceremony. A beautiful red brick built church in the centre of the neighbourhood which houses Laura’s parents home. A very open and airy church with stunning backdrops to all photographs. The final stop of the wedding day was at The Hunters Lodge in Crewe for the wedding reception. After enjoying the awesome speeches we spent the rest of the evening outside in the summer sun. We left the majority of the couples photographs until later on to make the most of the beautiful sun low in the sky. 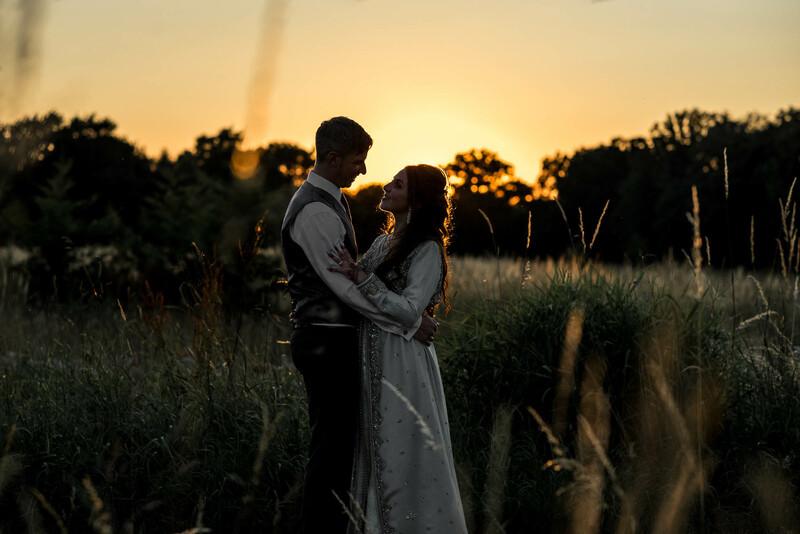 Looking for a Hunters Lodge Wedding Photographer? I’m a relaxed and informal Stoke-on-Trent wedding photographer who often ventures further afield including Staffordshire, Derbyshire, Cheshire, Shropshire and the rest of the UK. I don’t charge for my travel or accommodation as I love the look of different landscapes in my photographs. If you are interested in having me photograph your wedding whether it’s in Hunters Lodge or elsewhere then CLICK HERE to drop me an email about your day. If you’d like to hear a little bit more about me, my life and my sausage dog you can click here to find my about page.